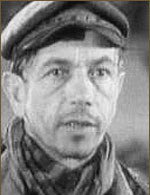 Russian filmmaker Mark Donskoi, of "The Gorky Trilogy" fame, was responsible for the postwar Soviet drama The Taras Family (originally Nepokorenniye, and also released as Unvanquished and Unconquered). A semi-sequel to Donskoi's Raduga (1944), the story is set in Nazi-occupied Kiev. 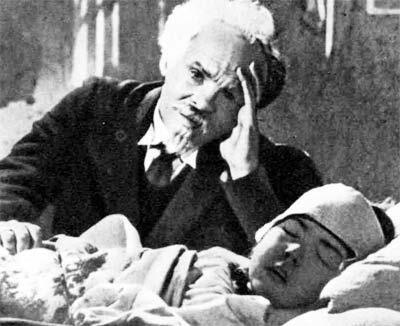 The drama focusses on the travails of a typical Soviet family and on the efforts by the Germans to force the reopening of a local munitions factory. The film is at its most grimly effective in a long sequence wherein the Nazis conduct a search for Jewish escapees, culminating in a horribly graphic re-creation of the slaughter of the Jews at Babi Yar. While Donskoi was critically lambasted for his cinematic "sloppyiness" during this sequence (hand-held camera, rapid cuts etc. ), it can now be seen that he was attempting a realistic, documentarylike interpretation of this infamous Nazi atrocity.